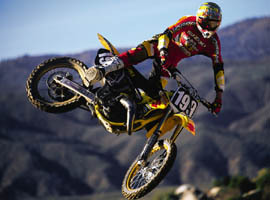 Are motorcycles just about sport, competition and camaraderie? Or is there something more? and high rollers, the weekend warriors and global thinkers... on the trip of a lifetime! It's not just about the noise. 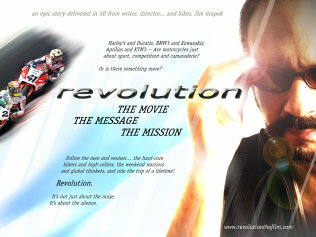 Revolution is an awe inspiring, 3D IMAX® and feature length film that showcases the passionate spirit of motorcycling - and reveals how this passion may, in fact, hold a key to solving our most pressing challenges. is currently preparing for the production of an IMAX and feature film project, Revolution, and is seeking like-minded partners and sponsors. Production is expected to begin in early 2020. By combining the thrill, mystique, and passion of motorcycling with the world wide appeal of the giant screen and new digital 3D theatres, HPF believes Revolution can achieve significant box office success....and leave a lasting impression on people worldwide -- as it introduces them to both the thrill of motorcycling, and new, quantum science discoveries that can improve their health and enhance their lives. On the surface, through the magic of IMAX and 3D, Revolution transports viewers onto the saddles of the steel and chrome horses that have helped define our popular culture, giving them a breath-taking perspective that only the motorcycle can provide. On a deeper level, Revolution takes us on an expansive journey inward, introducing new discoveries in physics which show us a never-before-seen side of life - and how our world truly operates. The implications of these new discoveries are stunning. As the film navigates its way across North America and to distant shores, our earth from the seat of a motorcycle feels majestic...alive...and inspiring. Yet, we're facing formidable challenges. Can we be the stewards we need to be in order to insure our collective future and happiness? Can we embrace these new understandings to make it happen? If we can just keep sight of our humanity, perhaps we can. Huge market for ancillary revenue sources such as leather apparel, clothing, DVDs, soundtrack, mobile theater to play to nationwide rallies, television rights, and more. Revolution will be a powerful, large screen presentation that will engage audiences young and old. More than a film about motorcycles, it is a film about our relationships, our values, and our world - a world we will see from theclose-up vantage point only motorcycles can provide. Revolution Brand Assets If you do not have Acrobat Reader, you can download it from Adobe's website. 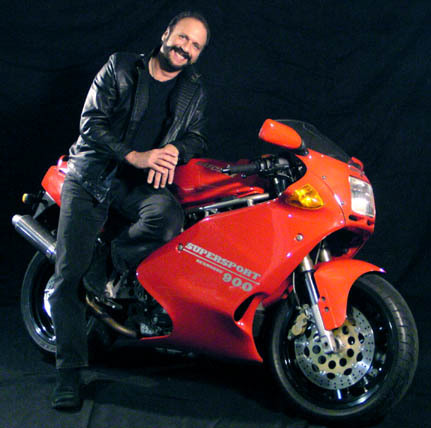 Thomas Krens of New York's Guggenheim Museum and an enthusiast himself, said, "The motorcycle is a perfect metaphor for the 20th century. Invented at the beginning of the industrial age, its evolution tracks the main currents of modernity.... representing themes of technology, design, speed, innovation, mobility, rebellion and freedom." world and uncover new solutions. In life, it seems, we rarely get more than one chance to touch people's hearts and create a legacy. Slyvester Roper did it in 1868 when he invented the motorcycle. Robert Pirsig did it in 1975 when he penned "Zen". And today - it can be our turn. I invite you to join me and come along for the ride!